Gov. Gary R. Herbert visited the Fourth Street Clinic on the morning of Good Friday where he signed two bills to help care for Utah’s most vulnerable citizens. Former Utah Gov. Mike Leavitt says Donald Trump won't win the presidential race. Gov. 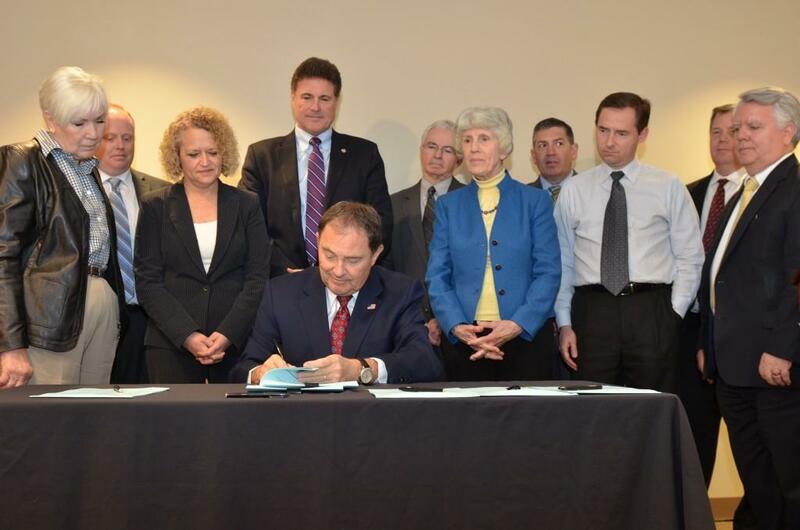 Gary Herbert signs more than 450 bills and vetoes three bills from the recent legislative session. Utah's Democratic superdelegates are split between Bernie Sanders and Hillary Clinton. And the LDS Church sponsors a new refugee-assistance program. On Friday at 9 a.m., Tribune reporters Matt Canham and Robert Gehrke, editorial writer George Pyle and managing editor Dave Noyce join Jennifer Napier-Pearce to talk about the week’s top news stories. Tune in to KCPW or Utah Public Radio for the broadcast. Want to join the conversation? Call 801-355-TALK, use the hashtag #TribTalk on Twitter or put comments in the comment section.